Basement Waterproofing Bergenfield | Weather-tite Waterproofing Inc.
A Family Tradition for Over 20 Years, Tired of A Wet Basement? If you are really interested in making a better home for yourself, start with waterproofing your basement. Basements can trap water, mold, stains and dust mites, and that’s why you need to get serious about water proofing them well. A good-looking basement is the first step to an attractive home. Here are some tips to help you. Make sure that you clean your basement at least once a week to get rid of all of the grit and dust that may be on it. This can help extend the life of your basement and give it a fresh look when you have people over your house for social gatherings. There are times where sales people might pressure you into having your floors and walls cleaned even though you really don’t need it. Don’t be offended by this, but if they are too pushy it is okay to find another company to deal with. You should feel comfortable with the people you are going to be giving your business to. Take responsibility for your fragile items before the hired contractor arrives even if furniture moving is included in the cost of remediation project. You should not risk trusting your valuables with the crew, regardless of their promise of that they will be careful. When hiring a professional water proofer, get an in home estimate. It is easy for a company to give you an estimate over the phone, but that estimate will not take into account the current condition of your home or the true square footage of of your living area. 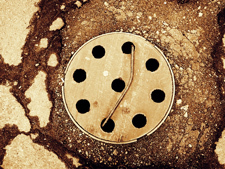 Things like sump pump installations and interior drainage systems can also cost more, and that is often forgotten in a phone estimate. Avoid surprises by asking the company to come to your home before providing a price. Some other types of work you may want to see if the company includes may be mold remediation, basement waterproofing, basement seepage repair, sealers, sump pump installations, permanent waterproofing, interior drainage systems, garage drains, french drains, concrete work, basement remodeling, basement demolition, custom contract work, dehumidification systems, foundation repairs, exterior drainage, water repellent coatings, channel drains, masonry and basement remodeling. Before agreeing to hire a company, ask them if they have insurance. In fact, it may even be wise to ask proof of insurance. No matter how good a company may be, accidents happen and if they do not have insurance, you will have to pay for damages out of your own pocket. Don’t just call any old contractor in. Make sure they come in and do the right kind of water proofing or remediation. Let them know about what kinds of damage your home suffers, be it mold, grime, allergens, stains, pets, or just high traffic. This will help your professional choose the right kind of material for your home. You always need to blot up any spilled liquid from your basement right away. Use a dry towel to help absorb the liquid. When the liquid seeps all the way to the flooring, you have a problem. If the mold gets in there, mold remediation may be necessary. Most NJ waterproofing companies offer interesting discounts during the summer. Contact some companies to learn about their deals. They may do a couple rooms for the same price of one. Perhaps they will offer consultations at no charge to you. Remember, simply because you saw an advertisement for a discount waterproofing company that quoted one particular fee, that doesn’t mean that you will get that deal. Call the company first and discuss pricing. They may have a “fine print” built into their offer, and your home might not qualify for the low rate. Always know what you are getting into. Remove candle wax or gum from the floor by using an ice cube to get the substance as hard as possible. Then scrap and pick the hardened substance with your fingers. You may need to use a vacuum cleaner wand to apply enough suction to get the small pieces off of a concrete basement floor. When looking at prospective waterproofing businesses to hire, try checking for online customer reviews. 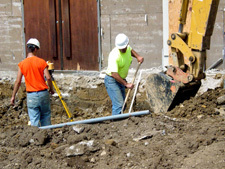 You can gain valuable insight on many local contractors. Many review sites allow customers to post about their experiences with particular companies. This method of sharing information can provide you with either recommendations or warnings to avoid certain companies. Those with better reviews can really narrow down your search. Be sure and do a bit of research when considering which basement waterproofing company to hire. Don’t simply take their word for it. Rather, consult with online interviews to get valuable feedback from past customers. This will allow you to see what sort of job this company is capable of. If you want a dry basement then use a water proofing company that specializes in that particular job. Some basements must be remediated from mold before applying repairs or excessive renovations to them before the actual waterproofing method begins. Make sure to specifically mention the type of basement when calling for a quote so that you are not left with a destroyed family heirloom after the professionals leave your home. Armed with this info, you should be ready to go! Move the furniture and get ready to really allow the company to dry your basement. 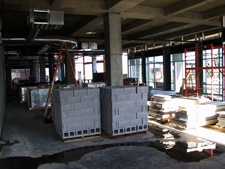 Utilizing these tips will allow for a smooth waterproofing project. Not only that, you can rest assured that a dry basement is better for your health too. Good luck! © 2019 Weather-tite Waterproofing Inc.